*Linnet Ridgeway - young, beautiful and very rich, at home in England she was on the verge of marrying a lord when her best friend, Jacqueline, asked a favour. Would Linnet give her fiance a job on the estate. Linnet was happy to oblige but in a very short time had no scruples about robbing her friend of the man she loved and marrying him herself. Now on a romantic honeymoon in Egypt the newlyweds happiness is blighted by the constant presence of the woman scorned. With a pistol in her handbag and proclaiming how much she would love to put a bullet in Linnet's head, Jacqueline is out for revenge! * M. Hercule Poirot - the French-Belgian detective taking a well-earned holiday as usual finds himself caught up in a murder investigation. 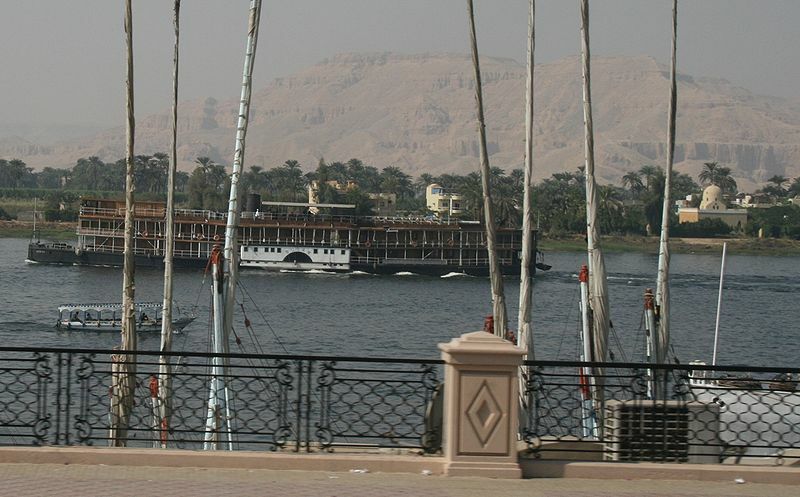 * I liked the format of Death on the Nile. Usually the Agatha Christie murders begin early on in the story but in this one it's almost half-way through before the action starts. There are always so many characters it can be confusing and introducing them slowly made it easier to sort out who was who. * I'm in awe at how brilliant the author is at creating these complex crimes and how cleverly she lays the red herrings and just when you think you have the answer another twist proves you wrong. 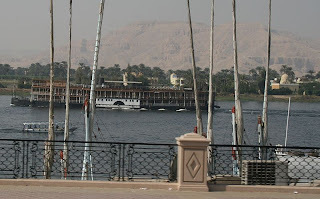 * I enjoyed cruising the Nile and visiting the ancient sights. Agatha's husband was an archaeologist , as was one of the passengers, and the little snippets of information were very interesting. * One of the things that make M.Poirot such an entertaining character is his manner of speech - " There passes itself something on this boat that causes me much inquietude." Love it! 3 Stars for a fun and fast read. I tend to love all of Agatha Christie, especially Hercule Poirot, but this one was particularly good. I couldn't figure out who did it, but then again, I never can! I never can either, Becky but it's certainly fun trying.